Charter Kuru or Cherry Pie privately for your own group of relatives, friends or work colleagues. 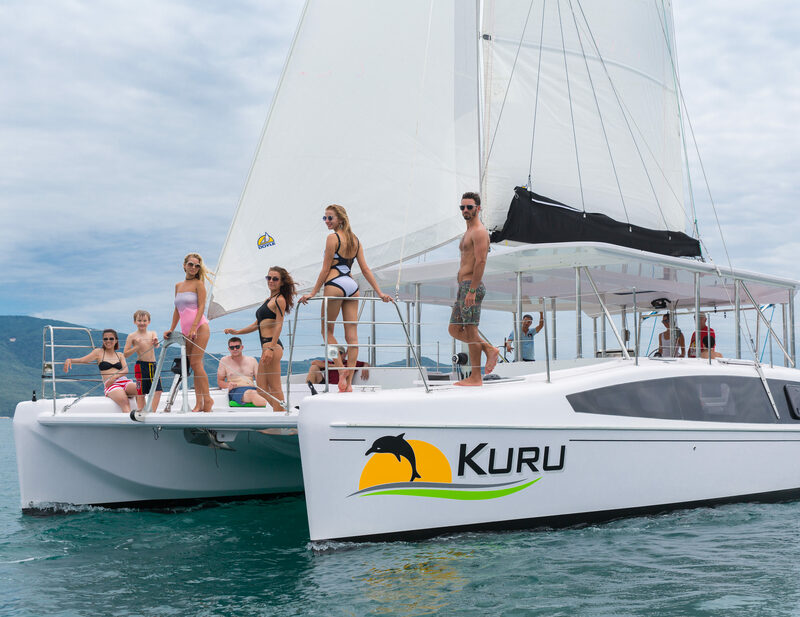 If you don’t have the numbers to hire the entire catamaran? No worries. 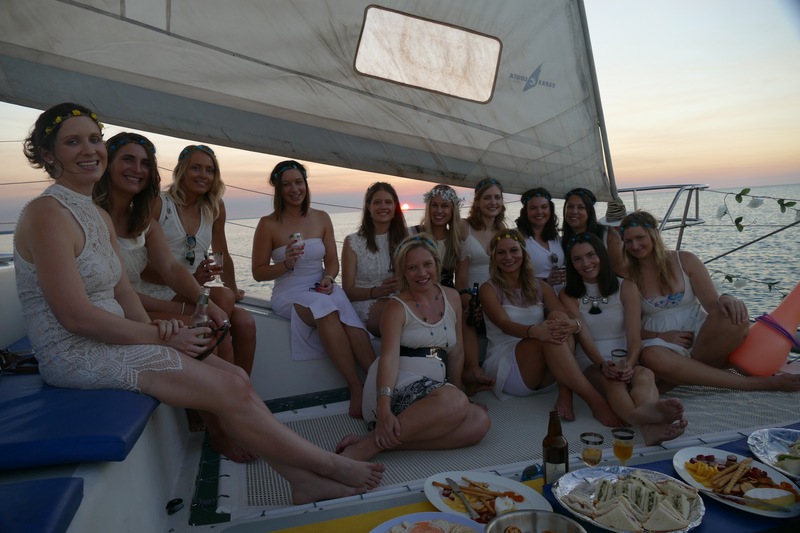 Take this cruise and make new friends while you enjoy our beautiful harbour. 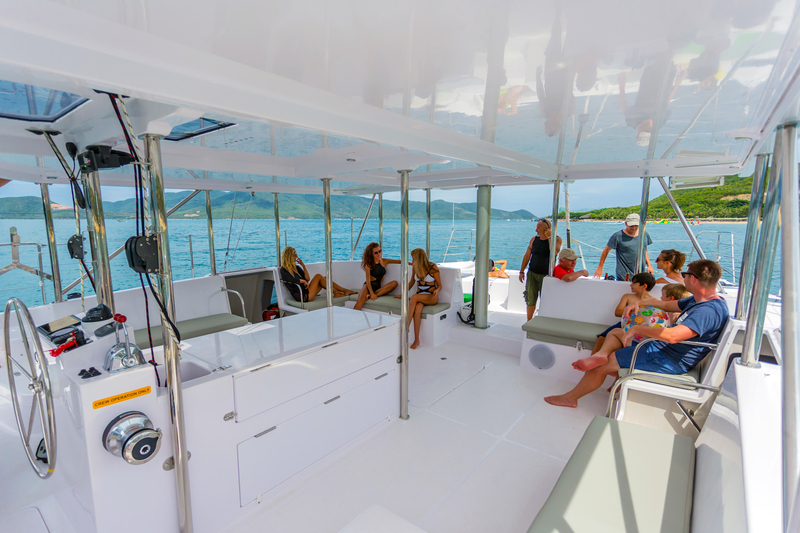 We require minimum numbers some days to depart at 4:30pm from Cullen Bay Marina, this is the cruise everyone loves. Why you should come with us. 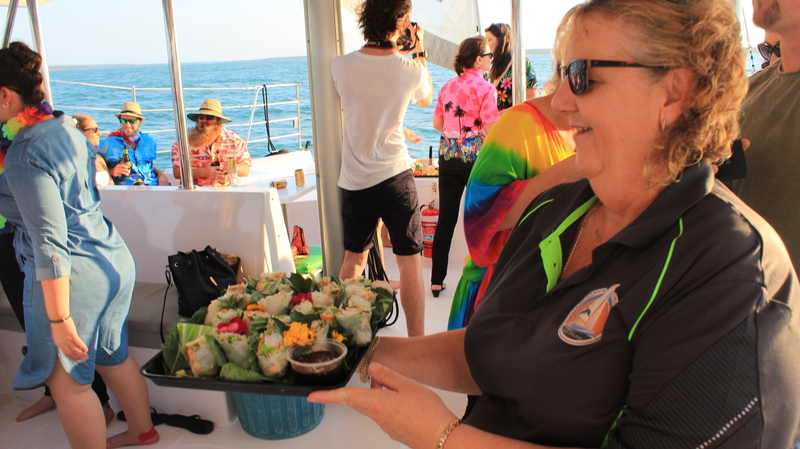 Enjoy a 3 hour sunset cruise with nibbles and free drinks during the cruise from $99.00 pp. We love our Top end history. Hit "Read More" to continue to our history page. NT heritage, local wildlife, ecology - you will be able to ask our crew or check our web site material before you come sailing. opportunity to see wildlife, mainly bottlenose dolphins, the rarer Snubfin Dolphin can be seen occasionally similar to the elusive Dugong. 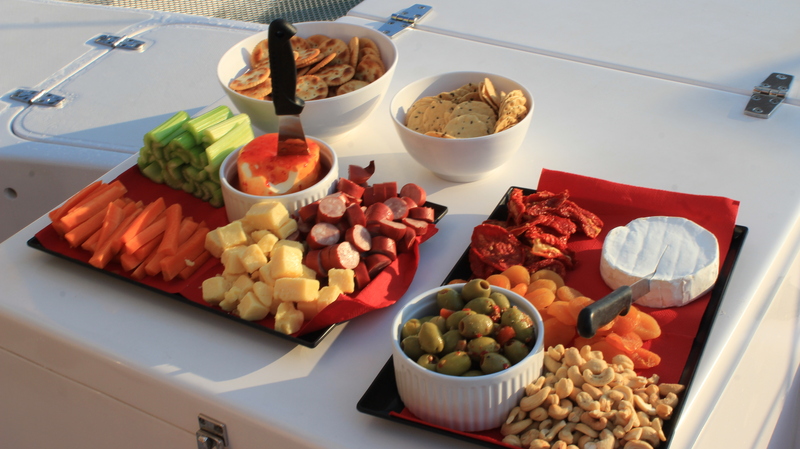 enjoy our platters included on every ticketed cruise. BBQ Meal menu - Asian inspired beef and chicken skewers, piece of local fish, chilled tiger prawns, potato salad, green salad, with free bottled bubbles, white wine and mid strength beer. 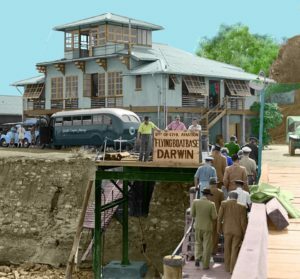 Learn more about the beautiful places we visit around Darwin harbour on our blog.